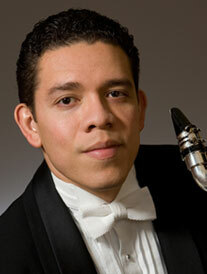 Alcides Rodriguez joined the Atlanta Symphony Orchestra in 2005 as clarinet and bass clarinet. A versatile musician, Mr. Rodriguez can be heard in chamber, orchestral and concerto performances on clarinet and bass clarinet. He is a member of the Atlanta Chamber Players. A dedicated educator, he is on the faculty of the Atlanta Symphony’s Talent Development Program and maintains a private studio at home. He is an Artist and Clinician for the Buffet Group and Vandoren, and plays Buffet clarinets and Vandoren reeds exclusively. A native of Venezuela, Mr. Rodriguez obtained his musical training through the System of Youth Orchestras of Venezuela before moving to the United States. He obtained a Master of Music degree from Northwestern University, and a Bachelor of Music degree from Baylor University. His main teachers were Russell Dagon, Richard Shanley and J. Lawrie Bloom. An avid advocate of Venezuelan music, Mr. Rodriguez also plays maracas and cuatro. He has been featured as a maracas soloist, performing the Concerto for Maracas and Orchestra by Ricardo Lorenz. He has also played maracas in the percussion section of the Atlanta Symphony. 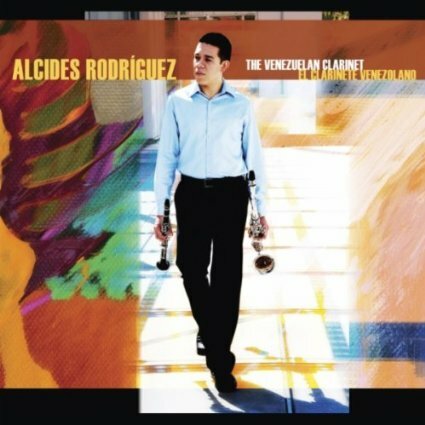 His album The Venezuelan Clarinet (2010) is a tribute to the music of his native country, and a showcase of Mr. Rodriguez’ versatility. Throughout his career, Mr. Rodriguez has earned prizes in clarinet competitions such as the Young Texas Artist Music Competition, the Kingsville Competition and the Orchestral Excerpts Competition of the International Clarinet Association. While in Venezuela he often performed as a soloist with various youth orchestras, playing some of the most important works in the clarinet repertoire. In 1997, he gave the first performance in Venezuela of Carl Nielsen’s Clarinet Concerto. Alcides began his musical training in 1987, in the Youth Symphony Orchestra of his hometown, Guanare, Venezuela. He continued his clarinet studies at the National Conservatory of Music of Venezuela with Professors Valdemar Rodríguez and Luis Rossi respectively. While in Venezuela, he also studied with distinguished Venezuelan clarinetists such as Jorge Montilla, Daniel Granados and Carlos Mujica, as well as participating in master classes with such distinguished artists as Walter Boeykens, Paul Meyer, and Eddy Vanoosthuyse. In 1995 Alcides was a semifinalist in the clarinet competition “Ciudad de dos Hermanas” in Seville, Spain. The following year he won first place in the concerto competition of the American Youth Symphony Orchestra of Puerto Rico to play the Jean Francaix’s Clarinet Concerto. In 1997 Alcides gave the first performance in Venezuela of Carl Nielsen’s Clarinet Concerto. Alcides also won first place in the Baylor University 1999 Concerto Competition, first place in the instrumental division of the 2001 Young Texas Artist Music Competition in Conroe, second place in the instrumental division of the 2001 Kingsville Competition, runner-up in the 2001 Orchestral Excerpts Competition of the International Clarinet Association, and winner of the Northwestern University 2003 Concerto Competition. Alcides has also participated in various summer music festivals, including the National Repertory Orchestra and the National Orchestral Institute, both in the United States, and the Pacific Music Festival in Japan. Before coming to the United States, Alcides was the principal clarinetist with Los Llanos Symphony Orchestra from 1992 to 1998. He has performed as a soloist in Venezuela with Los Llanos Symphony Orchestra, Gran Mariscal de Ayacucho Symphony Orchestra, Guarico State Symphony Orchestra, Falcon State Symphony Orchestra, and in the United States with the Northwestern University Symphony Orchestra, the Baylor University Symphony Orchestra, and the American Wind Symphony. Alcides Rodriguez is a Buffet Crampon USA Performing Artist.